APCON delivered flight models to customer. The integration on system level is under progress now. 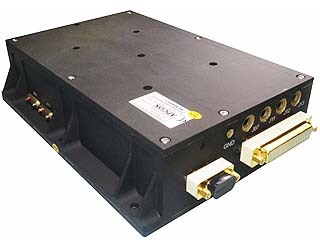 The Laser Ranging Interferometer (LRI) is based on a laser interferometer evaluating the heterodyne signal of two single infrared frequency lasers (?=1064,547 ± 0.057 nm(in vacuum)) with a frequency offset in the MHz range. The optical system on both spacecraft is identical. It consists of a laser, a triple mirror assembly (TMA) and an optical bench subsystem (OBS). 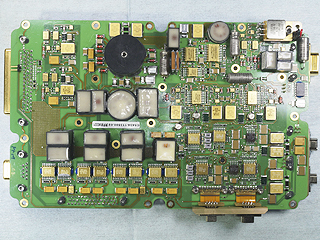 The OBS consists of the optical bench assembly (OBA) and the external optical bench electronics (OBE) box. 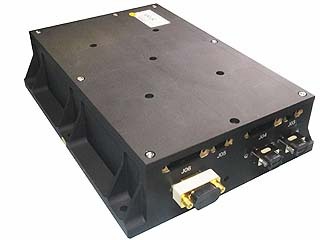 APCON has developed and produced the power supply and mirror drive unit for the Optical Bench Electronics, Laser Ranging Instrument. 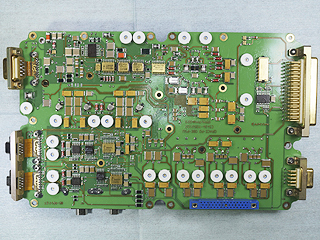 The Power supply is based on a discrete design.